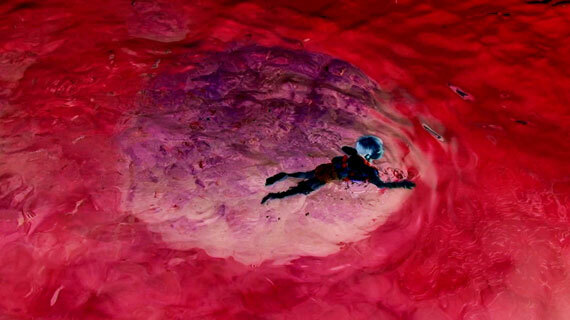 The video: “ Red Water” shows a video in negative. Because the image is turned into a negative the water turns into an alarming scene. It looks like an image from an alarming dream. A small child wades through the red image.